Frank Turner will be the 2019 Thursday main stage headliner at 2000trees Festival. Joining Frank Turner will be a HOST of his old Xtra Mile pals, with the label taking over The Axiom Stage on the Friday, including headliners Möngöl Hörde, Skinny Lister, Jim Lockey & The Solumn Sun, Crazy Arm (playing ‘Born To Ruin’ in full), Sean McGowan and more. Two more artists are announced for the Forest Stage which are Johnny Lloyd and Grace Petrie (who has also been on the Frank Turner tour as support). 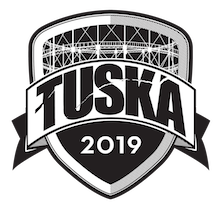 On top of all this, the festival also announced 5 bands, one a day between Monday Jan 21st and Friday 25th, which were Rolo Tomassi, The St Pierre Snake Invasion (who added to the announcement with this exceptional video – HERE), Petrol Girls, WSTR and LIFE. Following on from its recent win in December 2018 as the Best Medium Sized Festival in the UK at the UK Festival Awards, 2000trees Festival returns. The three day music festival will take place on Thursday 11th July, Friday 12th July and Saturday 13th July at Upcote Farm near Cheltenham, and the first band announcement is here! We have 33 bands to shout about and to start it all off, headlining the main stage on the Friday 12th July, on their first ever time playing, are the mighty You Me At Six. Since forming as teenagers in Weybridge, Surrey, You Me At Six have notched up a list of considerable achievements. Four UK Gold Records, five Top Ten albums in the UK including Number One album ‘Cavalier Youth’, sold out UK headline arena tours, and an unparalleled 15 consecutive A-List singles on BBC Radio One. Not to mention also multiple sold-out US headline tours, a Number One rock song in the UK & Australia and Top Five Rock Radio track in North America in ‘Room To Breathe’. Having sold over 65,000 tickets in the UK this year in support of new album ‘VI’ and the 10th anniversary of debut album ‘Take Off Your Colours’, You Me At Six are undoubted heavyweights in the live arena. Their recent headline tour was met with phenomenal demand, selling out four months in advance, and in just twenty minutes. As well as gracing the headliner slot at 2000trees Festival, 2019 will see the band take their live show to both Europe and North America. Bloodstock festival UK have announced four more bands for 2019! 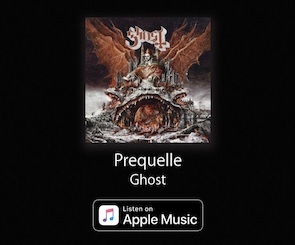 The new additions are: Skeletonwitch, Rotting Christ, Code Orange and Eluveitie. 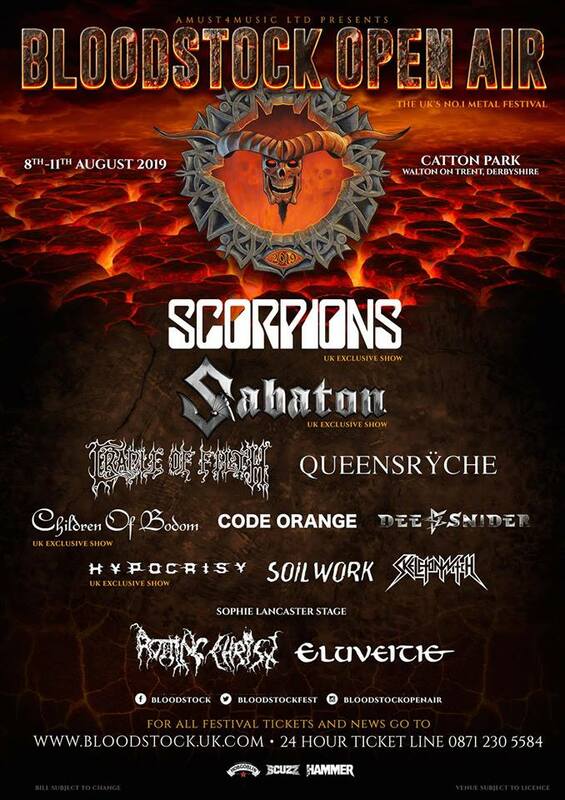 These bands join the previously announced Friday night headliner, Sabaton, Sunday’s bill toppers Scorpions, together with Children Of Bodom, Soilwork, Cradle of Filth, Dee Snider, Queensrÿche and Hypocrisy on the Catton Park stages next August. 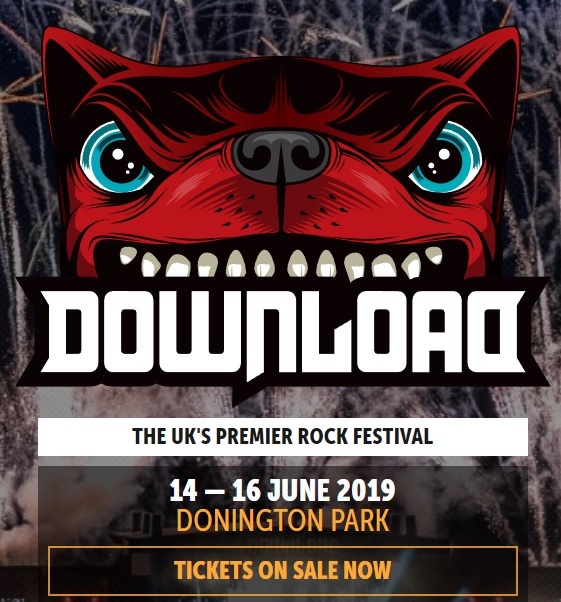 Download Festival UK have finally revealed some of the first acts of 2019, including all 3 headliners, which are DEF LEPPARD (ONLY UK APPEARANCE OF 2019 – PERFORMING ‘HYSTERIA’ IN ITS ENTIRETY & MORE), SLIPKNOT and TOOL. Mammothfest Bring UK Exclusive Set From Decapitated, Last Show From King Leviathan & more! Mammothfest are proud to announce that Decapitated will now be doing a UK exclusive headline set on Saturday the 6th October in Brighton. So make sure you come down and witness the death metal carnage that ensues from the Polish act. UK Thrashers ONSLAUGHT will unveil their new line up on the mainstage at ‘Bloodstock Festival’ Catton Hall, Derbyshire, on Friday 10th August. Longstanding members NigeRockett, Sy Keeler & Jeff Williams will be joined by James Perry (drums) and Wayne Dorman (guitar). 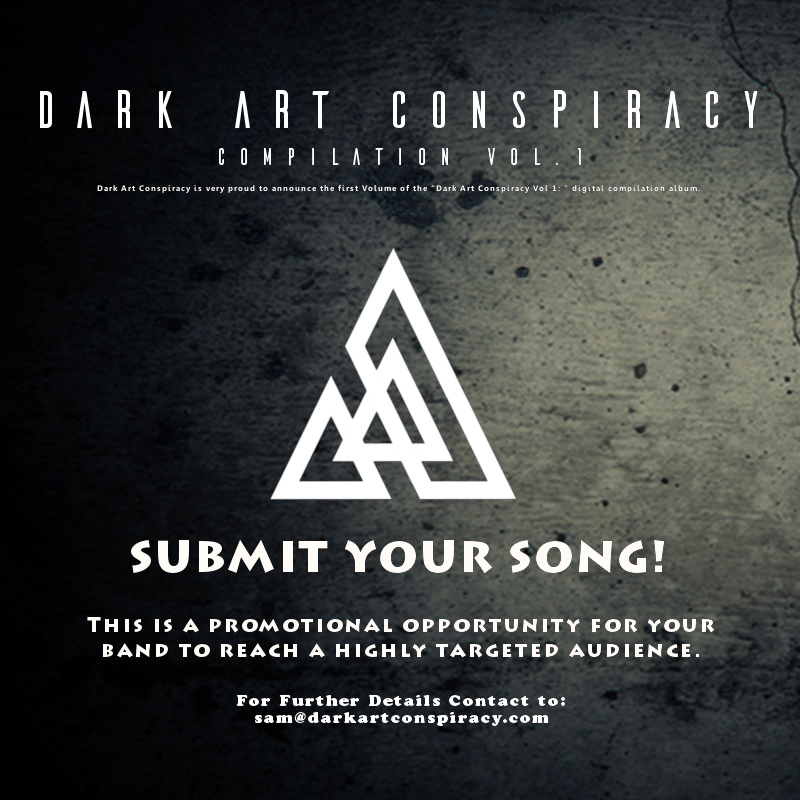 “The band is genuinely sounding more powerful and aggressively focused than ever before! James has been a great friend of the band for many years and is one hell of a drummer, a complete thrashing machine, so solid and lighting fast.